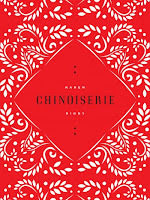 By definition, the word “chinoiserie” means a European interpretation of Chinese style in design such as furniture and textiles. In French, the word literally means “China made”. 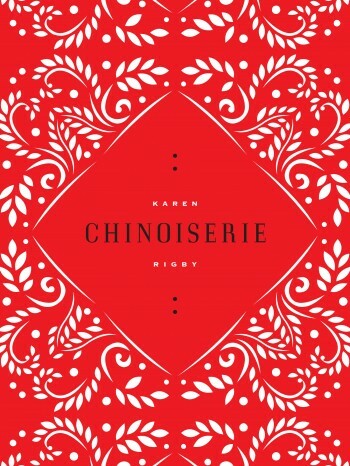 By Karen Rigby’s definition, Chinoiserie, her third collection of poetry, and the winner of the 2011 Sawtooth Poetry Prize, means an interpretation of myriad cultures in poesy by layering on colors, language and images. In one poem, “Red Dress” Rigby inserts Spanish words like llantos and susurrando to balance and soften English words like “red” and “fist”. This not only challenges the reader’s expectations but it also forces us to think in another language—outside of our boxes. The use of Spanish is neither gratuitous nor strained, but rather appropriate, as well as expansive. With “The Lover”, a poem based on and named after a 1992 movie by Jean-Jacques Annaud, (which was based on a memoir by Marguerite Duras), Rigby gives us her take on the working definition of “chinoiserie”; the movie is about an affair between a teenaged French girl and a Chinese businessman in 1929 Vietnam. Instead of going for the obvious and illicit, Rigby’s “The Lover” evokes images of the Mekong, and “the smells of roasted peanuts/Chinese soups, roasted meat”. She takes us to a place that’s China but not quite China because, in this instance, it intersects with France in Vietnam. Rigby paints a foreign place that we can access through the author’s layering of cultural images, language and the familiarity of wayward youthfulness. happiness we can drown in. The image of the pagoda on “reproduction pink” sets the tone for the rest of the poem. The reader will find Britannia in the same sentence as East Asia, and Josiah Spode mentioned one stanza before Hokusai, an Edo-period Japanese print-maker whose most famous work is The Great Wave Off Kanagawa. The men were contemporaries of sorts, and each has had a lasting influence over his respective art. Not only does Rigby draw on the foreign to stretch the reader’s imagination and her images as well, but she also employs color to add a sensory layer of depth that makes the poems stick deeper in the subconscious. In “Red Transferware”, the title color alternates with white to build on images and to give the poem a certain rhythm. There are “White rose, red ranunculus/red rose, ganglion of wires/White asparagus, red coulis, cool arrangements”. But then Rigby gives us black trees and bread, breaking up the red, white and pink, while painting a picture of unhappiness, bitterness and loneliness. There is pain associated with the tattoo needle and to think that habaneros sweat makes the reader consider the color orange, and the city of Pittsburgh in a different way. This displays Rigby’s attention to detail and her ability to use them to ground emotions and to give feeling to place. With Chinoiserie, Rigby draws from her various interests from movies to anime, from Leonardo da Vinci to Pittsburgh to create a collection of poetry that is both surprising and thoughtful. It is meant to be savored, read slowly, contemplated, then read again. The reader will not be disappointed and will find themselves reaching for this collection again and again. FeLicia A. Elam is a West Coast-based writer. She is an Elizabeth George scholar at the Northwest Institute of Literary Arts, (NILA) and will graduate August 2013. Her work has been featured in storySouth, Soundings Review, and other publications. She is a Hedgebrook Fellow and a winner of the New Short Fiction Series (2013).